Temporal logics for nested words are a specification formalism for procedural programs, since they express requirements about matching calls and returns. 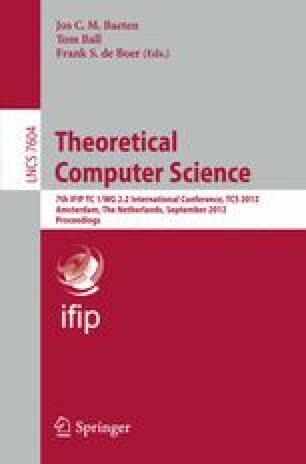 We extend this formalism to multiply nested words, which are natural models of the computations of concurrent programs. We study both the satisfiability and the model-checking problems, when the multiply nested words are runs of multi-stack pushdown systems (Mpds). In particular, through a tableau-based construction, we define a Büchi Mpds for the models of a given formula. As expected both problems are undecidable, thus we consider some meaningful restrictions on the Mpds, and show decidability for the considered problems. This work was partially funded by the MIUR grants FARB 2010-2011 Università degli Studi di Salerno (Italy).